It’s Tvakh Fruit Enzyme Alcohol Free Toner from Tvakh-The Natural Skin Suit !! I Fell in love with the moment I applied it on my face , as I can’t stop myself trying the Product !!
? Aloe Leaf Juice ?
? D- panthenol ,etc ? Can Be Used as Refreshing Facial Mist ✔? & Even As Makeup Setting Spray ✔? Just Spray It & Voila !! Comes In A 100ml Sprayed Bottle Which Retails for rs. 295/- !! It’s New Launch from Oriflame’s Eco Beauty Range !! It’s a natural toner with combination of Rose & Chamomile Flowers !! It Removes the last traces of impurities and makeup, refreshes and tones the skin ! I’m Using this Toner These Days & Im really impressed with the results !! ?? It’s A Unique Blend Of 3 flowers that instantly refreshes the skin and softens the tissues !! It Comes in a 55ml Spray Bottle which costs Rs. 195/- !! It’s A Handy Travel Size Pack which you can easily carry along with yourself wherever you go !! So it’s perfect on the move !! It’s my favourite Facial Mist for This Scorching Summers !! Himalaya drug company is Well Known For It’s Herbal formulation of Products !! 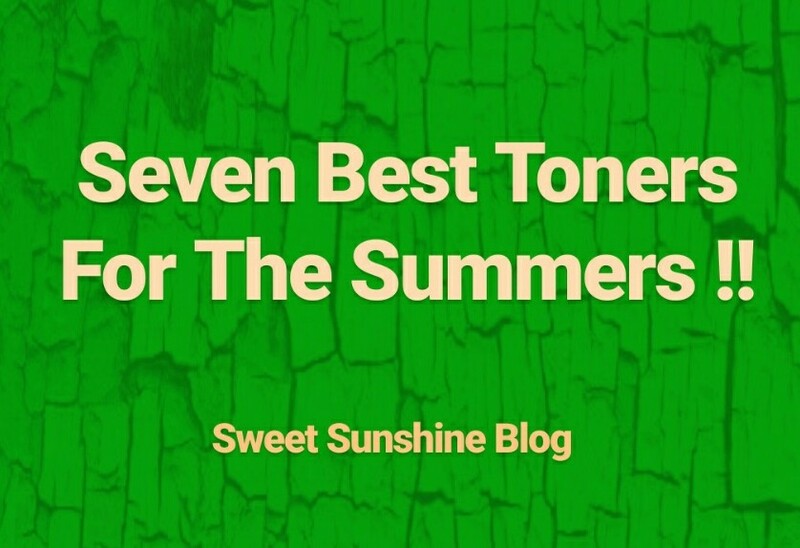 This Refreshing & Clarifying Toner is a must buy product from their range !! It’s Alcohol Free formulation which deep cleanses pores & refreshes the skin !! Because Of It’s Astringent Properties It deep Cleanses & Tones up the skin ..
M.R.P rs. 80/- ,, it’s Wallet Friendly Too ! It’s A Purest 100% Rose Water With No Artificial Fragrance or preservatives added !! It’s Suitable for all skin types even acne prone or Sensitive skin types people can go for this as 100% Natural !! It Gentley Cleans all the impurities from my facial & neck skin & Give A Refreshing Feeling !! It’s My All Time Favourite product from Ages !! From my teen age To till date I swear by this Refreshing product ! As it gives me an instant glow whenever i needed !! You can Spray it directly on your face (keeping your eyes close ) or can take a required amount on a cotton pad !! Much needed to Brighten up My Dull Day !! It’s Helps To Effectively eliminate blackheads from the very first use and prevent new ones from foaming, for clear & Healthy Looking skin !! Do try this product For Perfect ideal summer ! !